Collation begins after peaceful Kwara by-election – Royal Times of Nigeria. Election has ended with collation ongoing at the Ekiti/Irepodun/Isin/Oke-Ero by-election in Kwara State after an impressive voters’ turnout with few cases of card reader malfunctioning. The election was generally adjudged peaceful and orderly in Isin, Irepodun, Oke-Ero and Ekiti Local Government Areas of the constituency where the election held. Substantial numbers of security personnel including police, civil Defense, the army, immigration officers were on duty in the affected communities, stationed in the polling units. Accreditation and voting were momentarily held up in some polling units but INEC engineers went around the affected units to restore some card readers found to have malfunctioned. Mr Abdulraheem Olawuyi, the All Progressives Congress Candidate in the election, expressed satisfaction with the security arrangement. 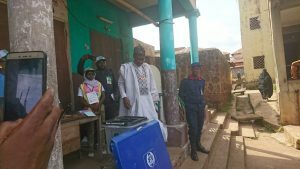 Olawuyi, who spoke with newsmen after casting his vote at Olupo-Odo, Omu-Aran Ward One, expressed confidence that he would come out victorious in the by-election. Candidate of the Peoples Democratic Party (PDP), Mr Saheed Alatise, on his part, also expressed satisfaction with the exercise and commended INEC for the prompt distribution of electoral materials and also the high level security arrangement put in place. An election observer of centre for advocacy and good governance kunle Ahmed who spoke with royal FM alleged that there was vote buying in Ajase and Oro. 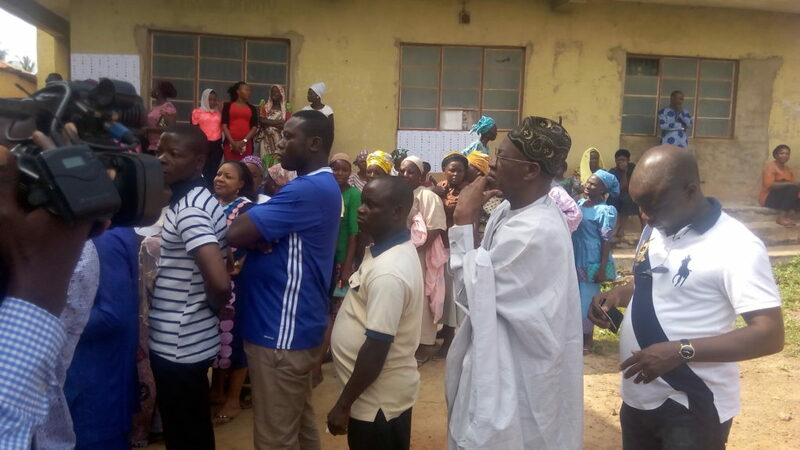 Minister of Information, Alhaji Lai Mohammed as he casts his vote at his P006 Ile, Oro, during the bye-election. The Resident Electoral Commissioner in Kwara, Garba Madami, has described the Ekiti/Isin/Oke-Ero and Irepodun federal constituency bye-election as peaceful. Madami said this today in Omu-Aran, the headquarters of Irepodun Local Government area of the state while speaking with newsmen. He said Nigerians should emulate the people of the constituency because of the way they conducted themselves during the election on Saturday. The Resident Electoral Commissioner said the reports he has received are positive, except for some places where there were card readers hitches which were resolved. He urged Nigerians with defaced cards to approach his office for a replacement as they may have problems voting. Speaking with Royal FM, the head of voter education and publicity, Barister Jacob Ayanda said the election result will be collated and announced expected. He commended electorates for the maturity displayed during the election noting that the election was peacefully as against insinuation that that there will be crisis. The bye-election became necessary after the death of incumbent Honourable Funke Adedoyin, on Friday, the twenty-eighth September, in Abuja.